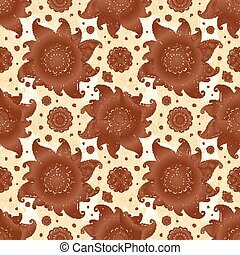 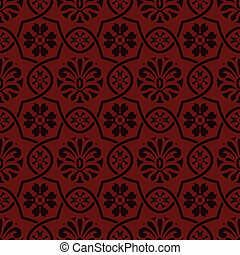 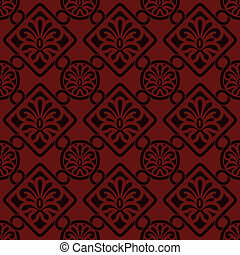 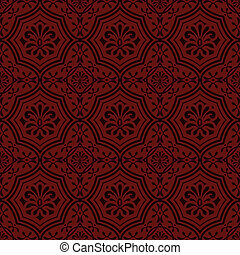 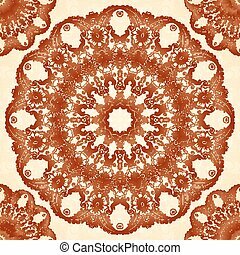 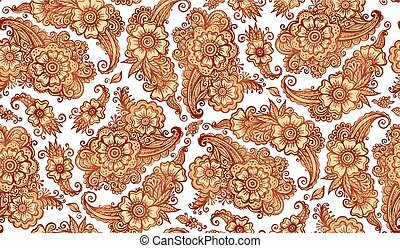 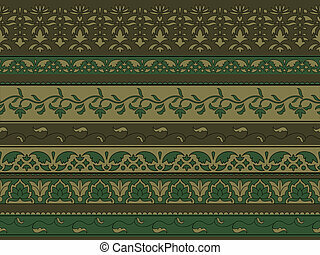 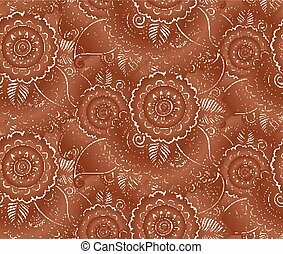 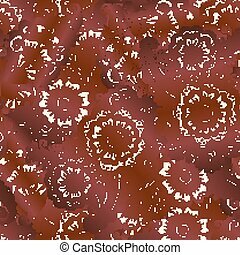 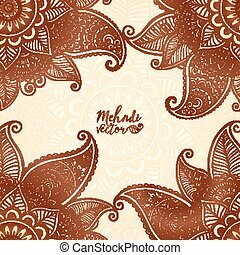 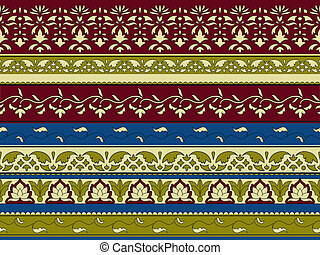 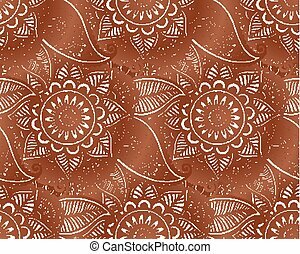 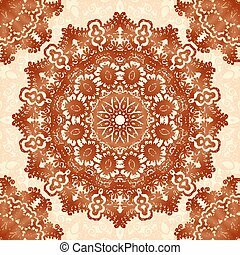 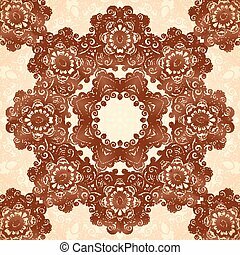 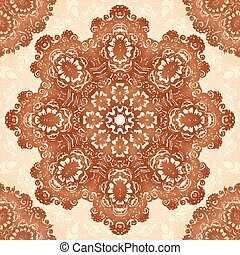 Indian mehndi henna tattoo style vector seamless pattern tile. 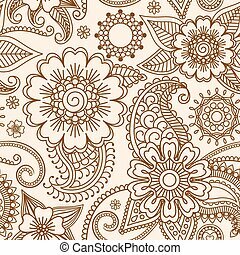 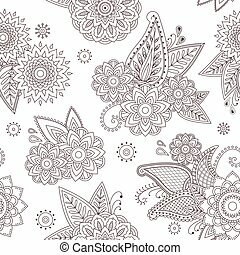 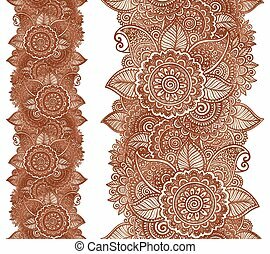 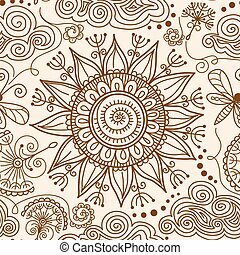 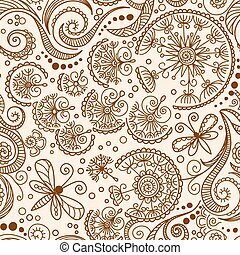 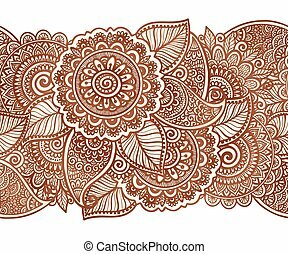 Henna paisley mehndi tattoo doodle seamless vector pattern. 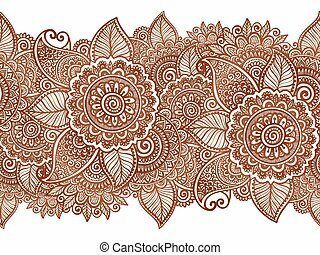 Beautiful vector floral elements in indian mehndi style. 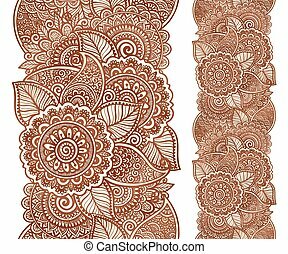 Unique hand drawn paisleys, mehndi floral abstract vector seamless illustration on white background. 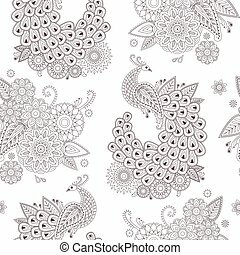 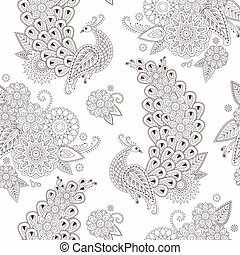 Henna paisley mehndi tattoo doodle seamless vector pattern with birds. 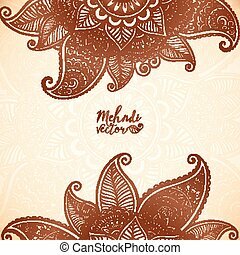 Beautiful peacocks and vector floral elements in indian mehndi style. 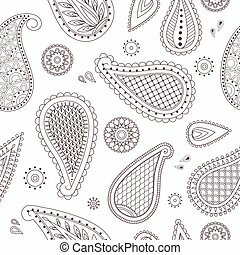 Unique hand drawn paisleys, mehndi floral abstract vector seamless illustration on white background. 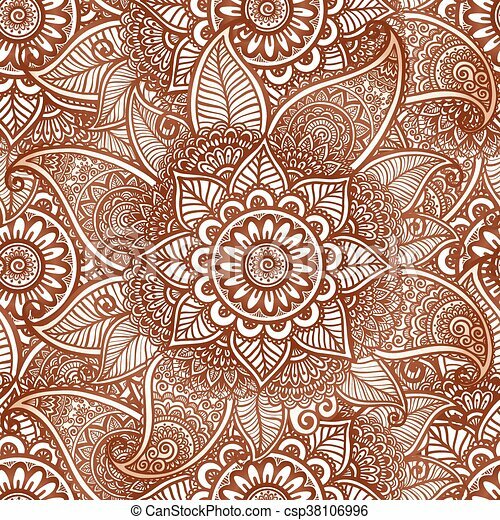 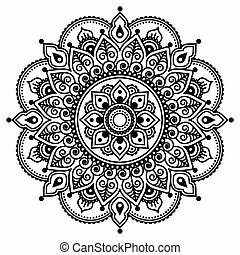 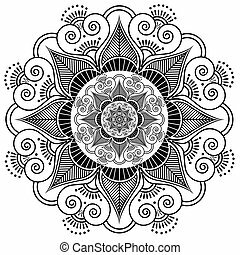 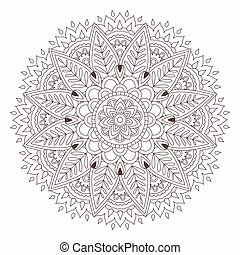 Indian henna tattoo flower pattern.